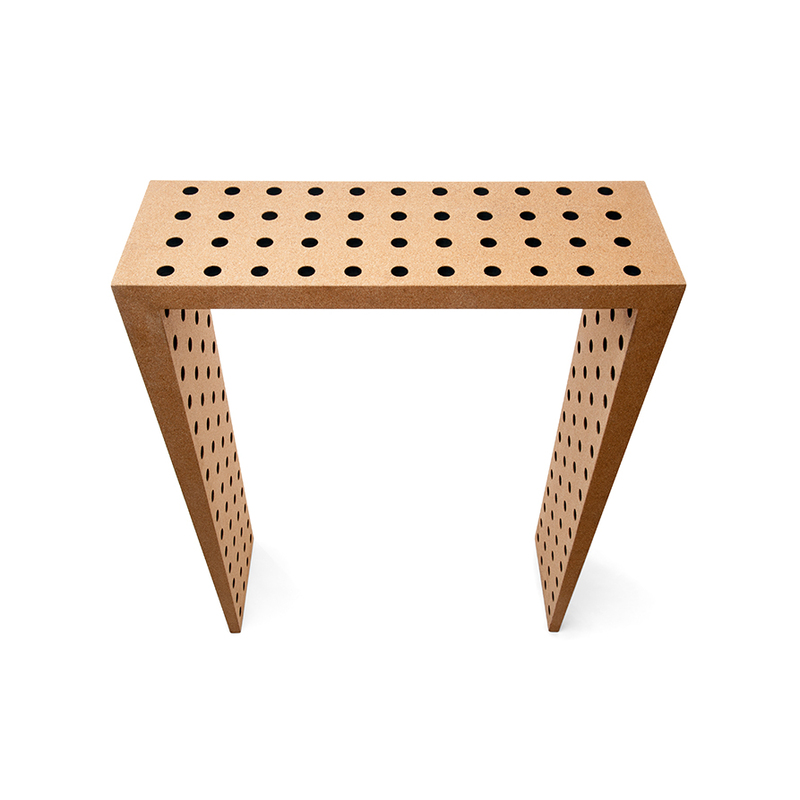 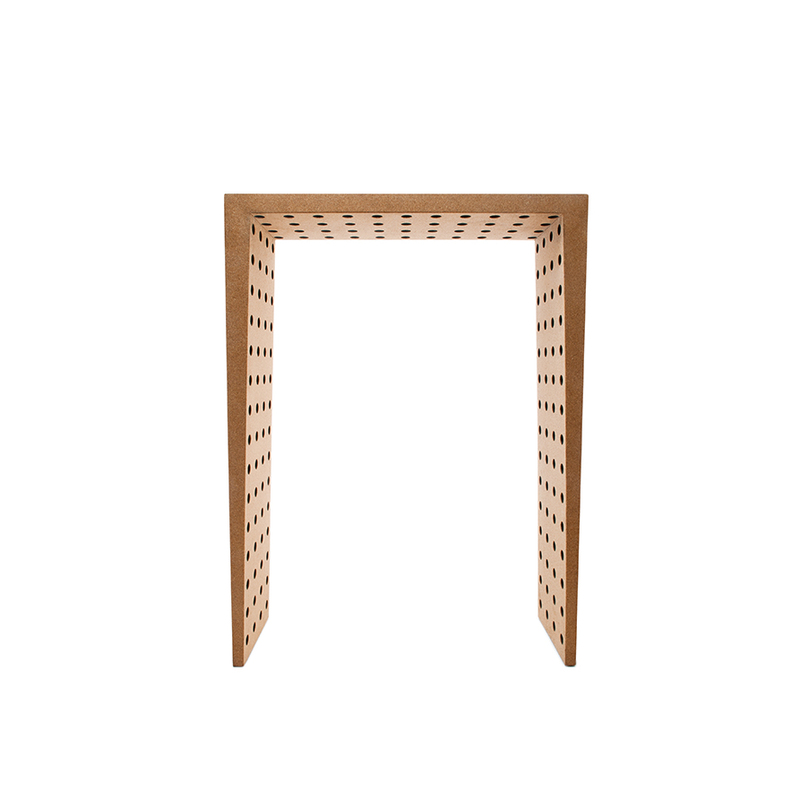 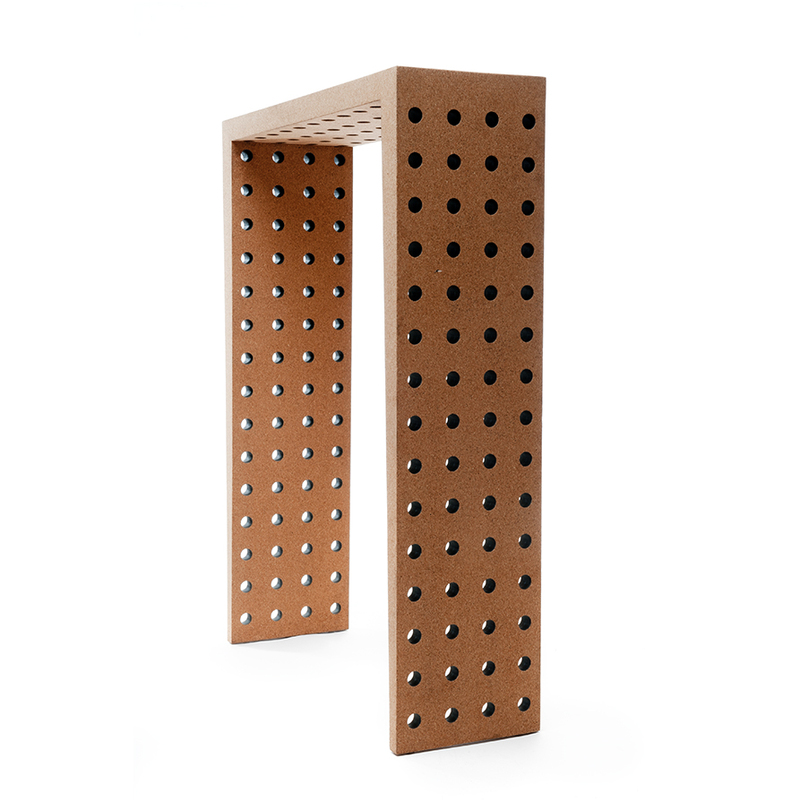 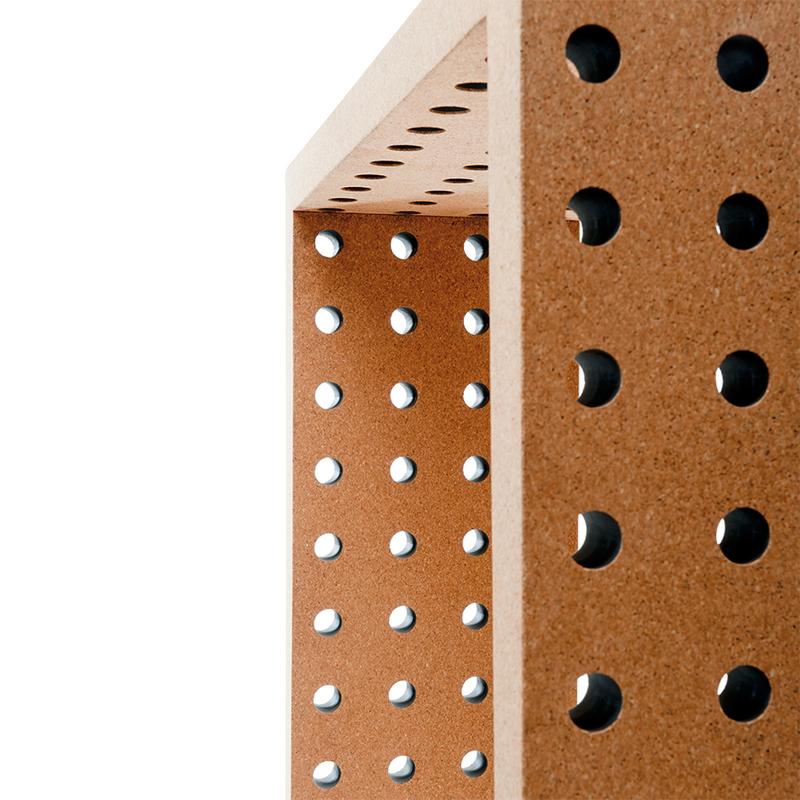 The One Sixty Four cork sideboard is the name for a piece with 164 perfect holes. 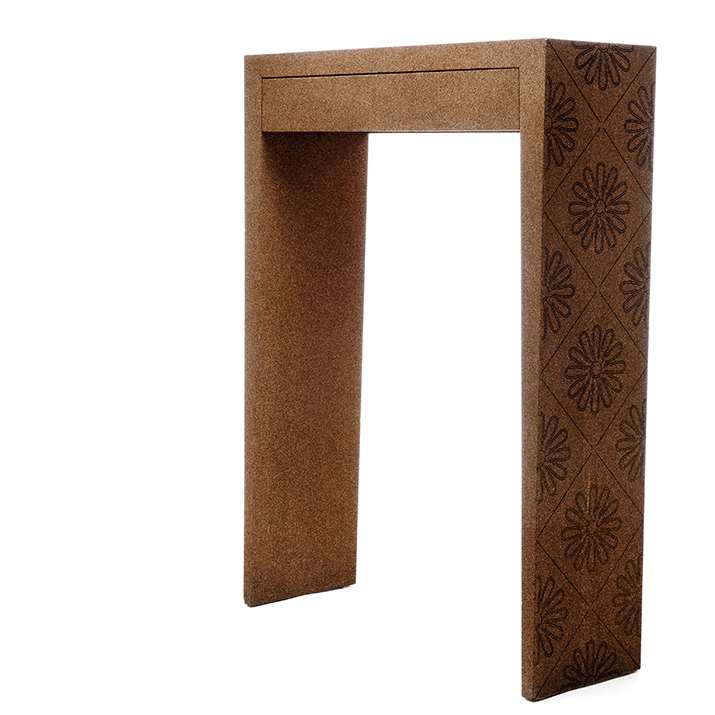 The black holes and the larger grain scale of the cork texture surface adds a very original look and feel to the sideboard. 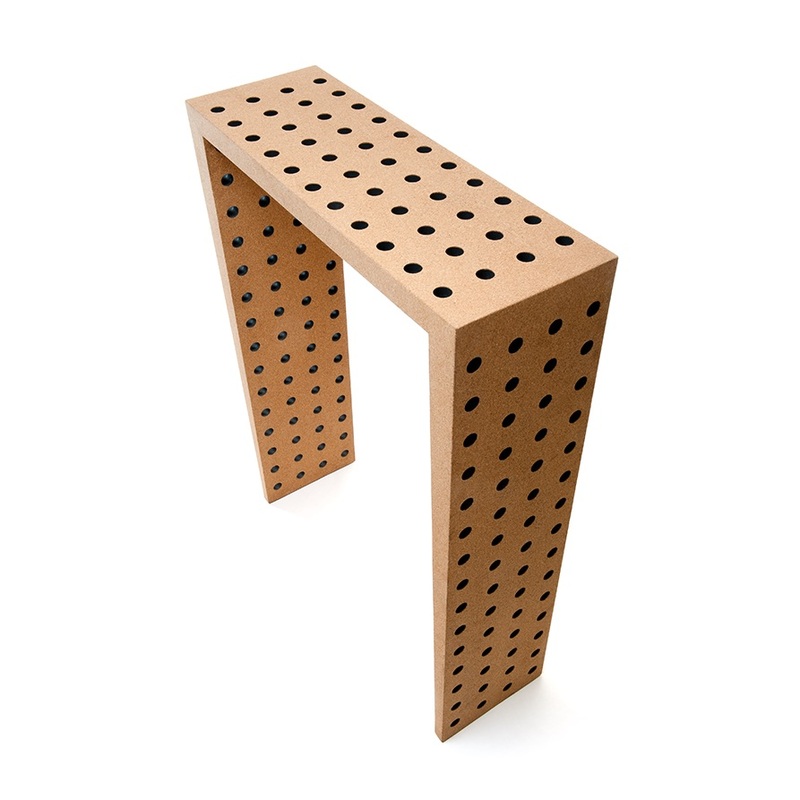 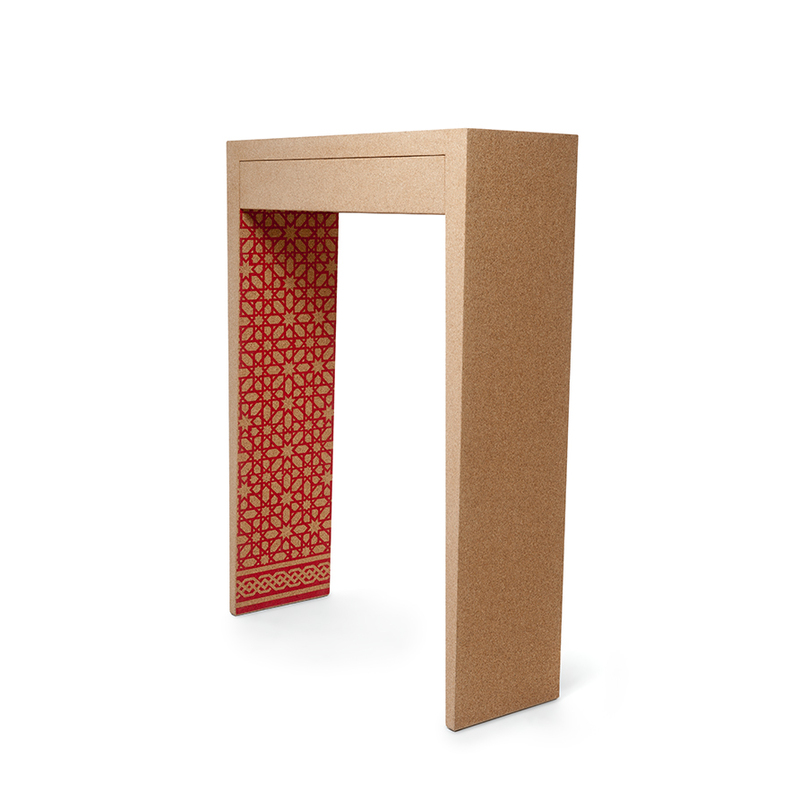 One Sixty Four is made of a natural agglomerate cork and black waterproof MDF sandwich.